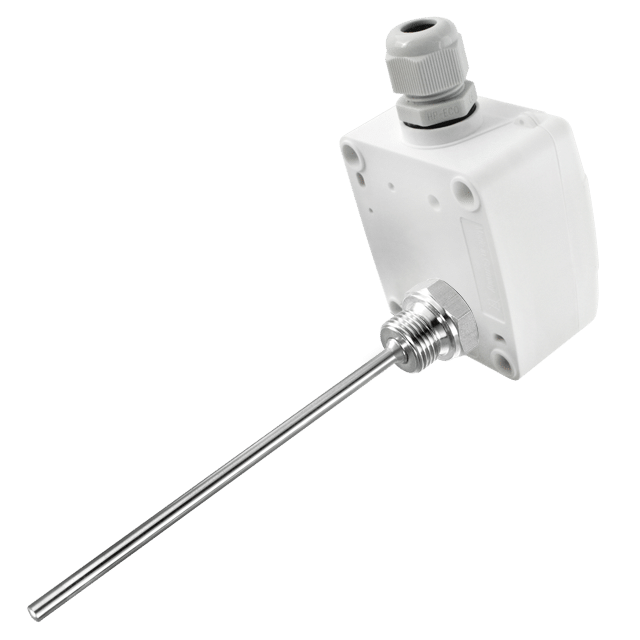 Modbus Screw-In Immersion Temperature Sensor ANDENTF/MD RS485 sensor is for measuring the temperature of liquid/aggressive and gaseous media. The ANDENTF/MD is used in heating, ventilation, refrigeration and air conditioning applications. 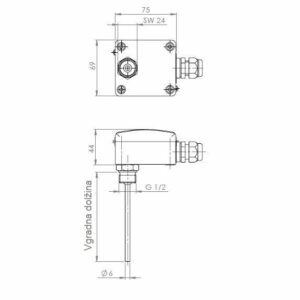 The sensor is easily mounted to the container or duct to be measured with the help of the G 1/2″ terminal thread. With the help of the respective sensors (see below), the device can be connected to all conventional control and display systems. The sensors are equipped with a standardized 0…10 V or 4…20mA output and can be connected to any PLC or DDC. Active Screw-In Immersion Temperature Sensor ANDENTF/MU.